Into The Ether: Contemporary Collodion Work, an exhibition which closes today at Reyko Photo Center in San Francisco, is something of a who’s who among contemporary wet plate photographers. Artists include: John Coffer, Will Dunniway, N.W. Gibbons, Quinn Jacobson, Robb Kendrick, Kerik Kouklis, Michael Shindler, Joni Sternbach, Ellen Susan and Robert Szabo. I know Coffer through attending his wet plate workshop at Camp Tintype in May; and I met Gibbons, who makes mammoth tintypes, earlier this month at Jamboree. 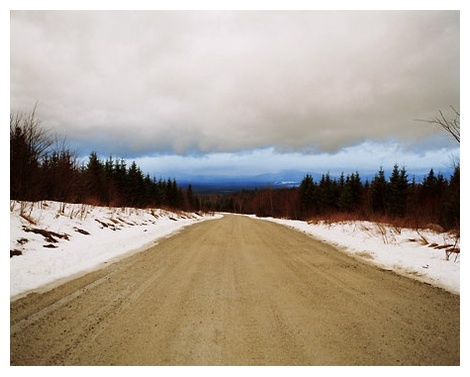 Below are a few images from Into the Ether and artist bios from the Reyko Photo Center website. Will Dunniway has been an American history re-enactor for 25 years. It was while re-enacting the 125th anniversary of the Battle of Gettysburg, that Will watched with fascination as John Coffer and Claude Levet worked their collodion magic. As a serious historian, professional designer and photographer, Will knew he was watching the perfect blend of his interests and abilities. He talked with John and in the summer of 1990 apprenticed under him and the late Claude Levet. 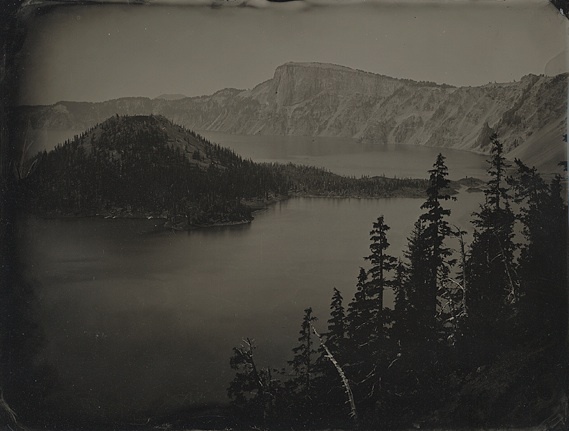 Since 1990, Will has practiced the art of collodion primarily on the West Coast working in Gold Rush, Old West, and Civil War events. In 1978, John Coffer hitched a bay workhorse named Brownie up to a 19th century style darkroom wagon dubbed the “Photographic Van” and criss-crossed the continent for seven years, plying his trade as an old time traveling portrait photographer. This was an experience as unique as the many tintypes he made and sold along the way. In 1985, after more than 11,000 wagon miles and having passed through 36 different states, John and his horse, Brownie, settled down on their own 50-acre farm in the heart of the beautiful Finger Lakes country of up-state New York. John lives in a one-room cabin that he built himself. He lives off the land and has no phone, no electricity, no automobile, and no running water. 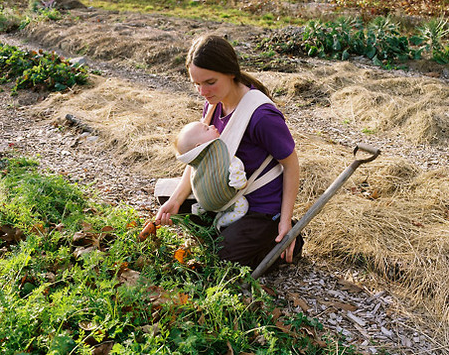 There, Coffer photographs the livestock, the farm implements, and the annual cycles of nature. 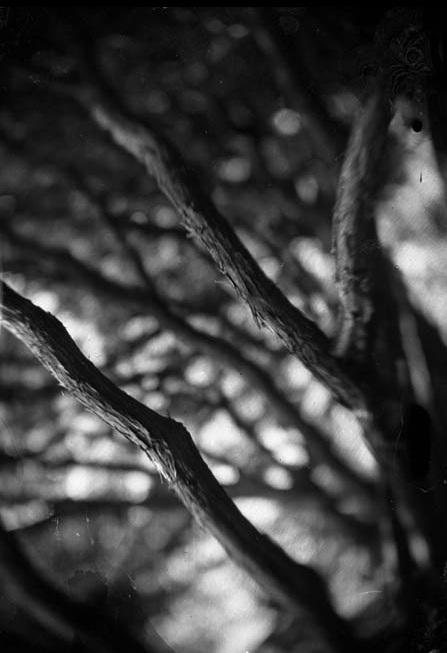 RayKo will be showing selections from his Daily Tintypes series; each reveals various aspects of the artist’s existence. Robb Kendrick, now living in central Mexico, uses the tintype process and other historical techniques in conjunction with collected audio and video to create one-of-a-kind pieces that incorporate other experiences for the viewer. This allows not only for unique photographs, but also forms memories of the experiences he’s had by engaging the subject in other ways. In the end, it becomes an intimate collaboration that connects him to the people he photographs. 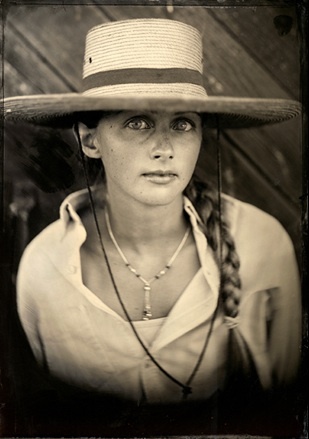 His most recent wet plate project documents the working cowboy in 14 Western States, Mexico and Canada for the December 2007 issue of National Geographic. The images are collected in a new book, Still: Cowboys at the Start of the 21st Century. At RayKo, Robb will also be showing some surprises that no one else has ever seen! 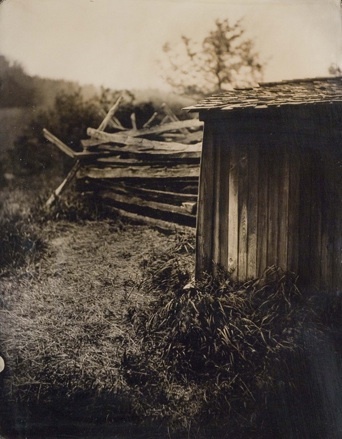 N. W. Gibbons is a photographic artist and life-long resident of Westport, CT. He has worked in large format non-digital photographic media since the mid-1970s, and most recently has produced work using a number of different 19th century photographic processes. 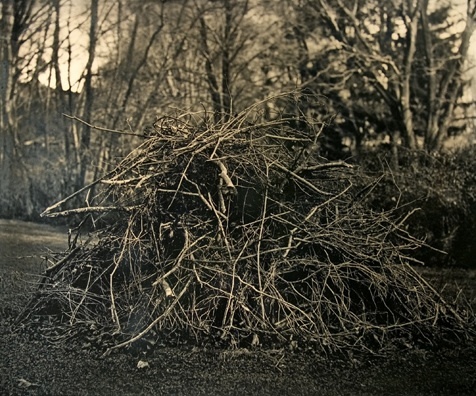 Mr. Gibbons creates very large tintypes and ambrotypes, both as single images and also in diptych and triptych formats. He makes cityscapes and landscapes in lower Fairfield County and nearby New York State, most recently working on an extended project documenting the surprising natural beauty of the Bronx River. In this clip from The Cruise, a documentary film directed by Bennett Miller, Timothy “Speed” Levitch, an eccentric raconteur who was making a living in the 1990s as a tour bus guide, goes on an amazing monologue (semi-rant) about the insidiousness of the the New York City grid plan. He sees acceptance of the grid as an act of mindless conformity, indicating a lack of original thinking. This summer I took a class of my college students from Parsons to Keliy Anderson-Staley’s studio in Long Island City. I had met Keliy last September when she was assisting Eric Taubman in his wet plate collodion workshop at the Center for Alternative Photography. 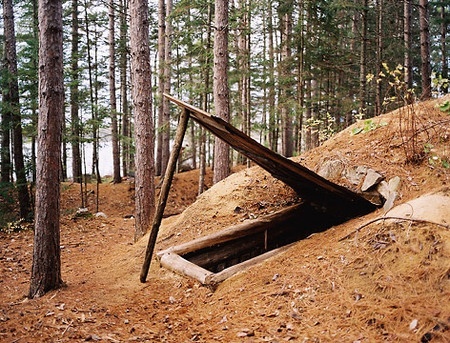 In addition to wet plate, she also works in large format color photography; and I really liked the latest series of images she is working on, a project called Off The Grid. Several of the 30 x 40 C-prints from that series were hanging in her studio. I was particularly drawn to the images below. Access Road Through Paper Mill Land, Jackman, Maine. Off the Grid: Unplugged in the Maine Wilderness (2004-2008) documents twenty families who live in owner-built homes without modern amenities such as electricity, running water, plumbing, phones, or computers. The series includes portraits, landscapes and architectural photographs captured across the four seasons. As many of my subjects use the sun as their main energy source, my photographs are deeply concerned with light: an outhouse half-hidden in the dark edge of the forest during sunset, light streaming into a cluttered room through a skylight, and bright daylight glinting off a frozen lake. Labor, wood, ice, and the forest run through the project as unifying visual motifs. The images were all made with medium and large format color negative film and enlarged by hand to 30 x 40″ C-prints. Having been raised in a log cabin like these, I am interested in exploring the tensions between the utopian idealism of my subjects and the physically demanding realities of their lifestyle. 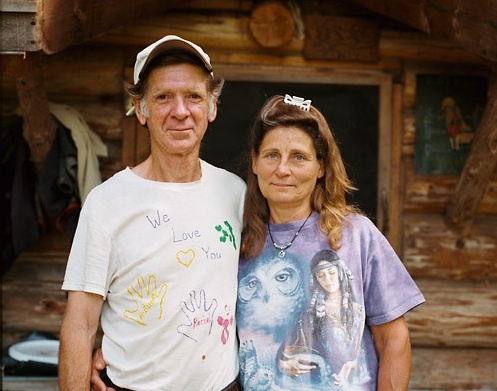 Many of these families moved to Maine during the back-to-the-land movement of the 1970s. Although all of them make use of alternative energies, their ethnic and educational backgrounds vary widely, as do their religious and political affiliations, which range from anarchism to socialism to fundamentalism. The low-impact, environmentally sustainable way these families live predates the fashionable green movement but can be seen as its extreme manifestation. I see the combination of living close to nature with efficient, solar-driven technologies as a model for future responses to the global environmental crisis. 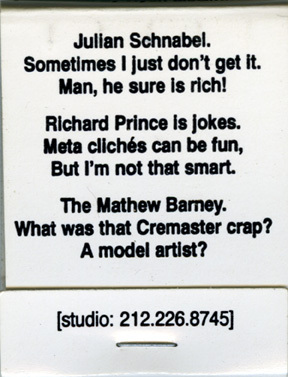 In the Flatfiles at Pierogi 2000 in Brooklyn, I found an Art Haiku matchbook by Ryan McGinness. 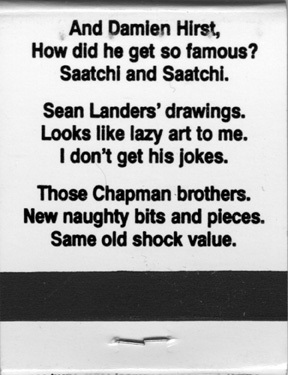 Much in the spirit of Ray Johnson’s mail art, the matchbook was free and was added to the Flatfiles long before McGinness became an art world star. Irony is not dead after all. His Art Haikus bash the likes of Julian Schnabel, Matthew Barney and Damien Hirst for the sort of insider art culture knowledge that he is pretending not to have. Priceless indeed. The Images below are about three times the matchbook size. The text would have been difficult to read otherwise. 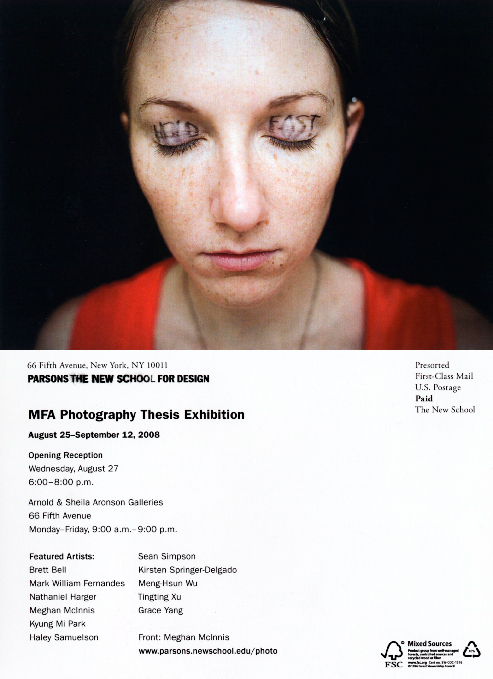 I got an email today about the Parsons MFA Photography Thesis Exhibiton, which opens tomorrow evening at The New School in Manhattan. Two years ago this month I completed my MFA there. For more about this year’s graduating class, check out Parsons Photobook. The Photographer cannot perform his duties with ease if crowded with inquisitive, meddling, and talking parties. The lenses do not operate well if the air is saturated with vapor, and the health is impaired in the midst of the mixed effluvia arising from degenerate lungs.